Tilary, a Canadian cannabis company, first received an export licence to New Zealand in February 2017. CBD (cannabidiol) oil in New Zealand was first shipped to Middlemore Hospital in Auckland. Availability of CBD oil in Auckland increased as a result of the legalisation of medical cannabis in December 2018 for terminally ill patients. CBD is one of 104 cannabinoids found in the marijuana plant. This naturally occurring chemical compound has various effects on the body and mind. Unlike another well known cannabinoid --tetrahydrocannabidiol (THC) -- CBD is a non-psychoactive compound that doesn’t give users that euphoric feeling -- the “high”. Most importantly, CBD is believed to have a range of health and medicinal benefits. CBD oil is made by extracting CBD from the plant and mixing it with a carrier oil that is often hemp seed or coconut oil. It is available in different forms, such as tinctures, softgel capsules, and under-the tongue sprays. Some other forms of CBD oil, like creams and salves, can be applied directly to the skin. The concentration of CBD varies from product to product. CBD oil is gaining momentum, with many renowned scientific studies confirming its benefits in the health and wellness world. Many scientific studies revealed that CBD oil helps reduce anxiety. A 2011 study published in the journal of Neuropsychopharmacology found that when people with social anxiety disorder (SAD) consume 600mg of CBD oil before a public speaking test, they experienced less anxiety and discomfort during their speech. Due to CBD oil’s ability to help reduce inflammation, it may provide relief from acne. According to a Journal of Clinical Investigation study, CBD oil inhibits the production of sebum in the sebaceous glands in the skin and prevents acne. There is growing evidence supporting the claim that safe and optimal dosing of CBD is highly effective in the treatment of epilepsy. Many clinical trials indicate that CBD oil may be a natural and effective treatment for patients suffering from high blood pressure. A recent study consisting of 10 men who were given 600mg of CBD oil, found that CBD consumption resulted in reduced blood pressure. A randomized, placebo-controlled trial posted in The New England Journal of Medicine experimented CBD medication on young adults with Dravet syndrome, the rare form of epilepsy with seizures. Participants who ingested CBD experienced a drop in their seizure frequency by a median of 38.9 percent. Like other medications, CBD oil can have unwanted side effects also. A 2017 review revealed the most common side effects of improper CBD oil, such as appetite change, fatigue, etc. It can also affect liver enzymes and change the effectiveness of other types of drugs you might be ingesting. So patients taking CBD oil should keep monitoring their liver enzymes. Overall, there are minor side effects of CBD. In fact, a review published in the journal Current Drug Safety shows that CBD has no adverse effects on heart rate, body temperature, gastrointestinal transit, and psychomotor functions. Keep in mind that since everybody’s endocannabinoid system is different, the dosage of CBD oil can vary. Some may find relief with 3 mg (milligrams) twice a day, while others may feel better with 200mg of CBD four times a day, or even higher. The best way to identify proper dosage for you is to start low and slow and keep adjusting. If you are new to cannabis, try dosing at 5 mg to maintain relief. To take multiple doses during the first day, take 10 mg per dose and monitor any changes in your body. Experienced cannabis users can start at a higher dose, such as 25 mg, and adjust from there. How to buy CBD Oil in Auckland? In Auckland and all over New Zealand, you can get medical CBD products only with a doctor’s prescription. 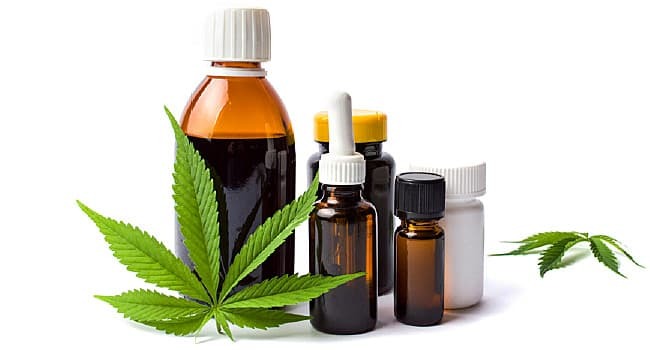 To get CBD oil online or offline, you need to have a medical prescription for the same. You can buy it online or offline, but it is recommended to buy from physical cannabis dispensaries in Auckland to avoid online scams. Although cannabis has been legalised for medical use in New Zealand, it’s still too early to implement a flawless system for obtaining cannabis products. Such a system will take time, but will eventually come surface. Eventually, if the 2020 referendum results in cannabis being legalised for all purposes, obtaining CBD oil will become even easier. For now though, following the nationwide legalisation of medical cannabis, CBD oil will soon be easily and readily available in Auckland.